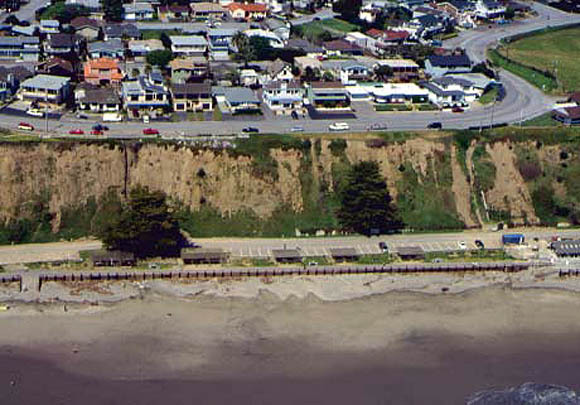 The Seacliff Neighborhood of Aptos borders Seacliff State Beach. The heart is Seacliff Village, a small collection of shops and restaurants along Center Avenue. The most well known of these places are Manuel’s Mexican Restaurant (in business over 50 years) and Marianne’s Ice Cream. 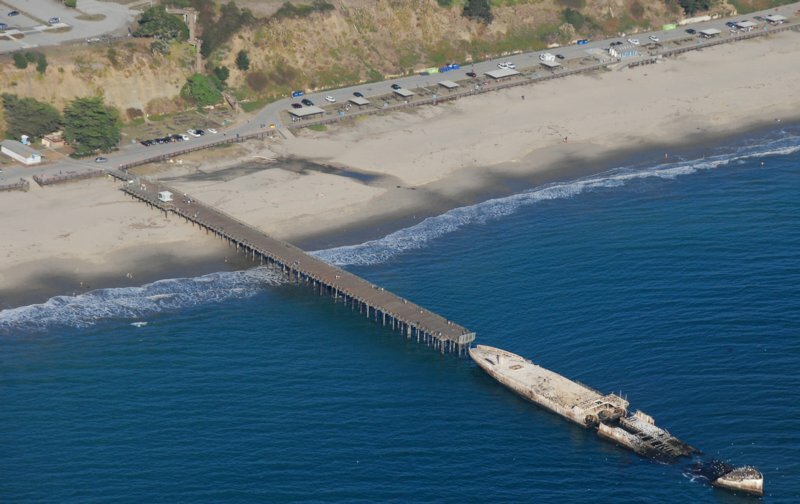 The icon of the neighborhood has got to be the sunken concrete ship, the S.S. Palo Alto. The Palo Alto was towed to its present location and intentionally sunk in 1930. The idea was to create an amusement ship and tourist draw, but the enterprise went bankrupt two years after opening its doors. Seacliff remained a quiet, sleepy place until after World War II, when hundreds of summer homes began to spring up. The area residents have worked to keep the neighborhood largely quiet despite its growth, and today it remains a quaint seaside enclave, famous for its foggy summers. Seacliff Park, as it was initially named, was originally developed in the 1920s, around the same time as nearby Rio del Mar. Most homes in the area were built between the 1940s and 1960s, and are generally single family detached homes, averaging around 1200sf on smaller lots. While most of these homes were built as weekend or seasonal get-away places, today the majority of these homes are occupied year round as primary residences.